Well, this is all together something unexpected. If you point your browser to palm.com, which you might do for nostalgia's sake from time to time, no longer are you redirected to the HP webOS museum website. 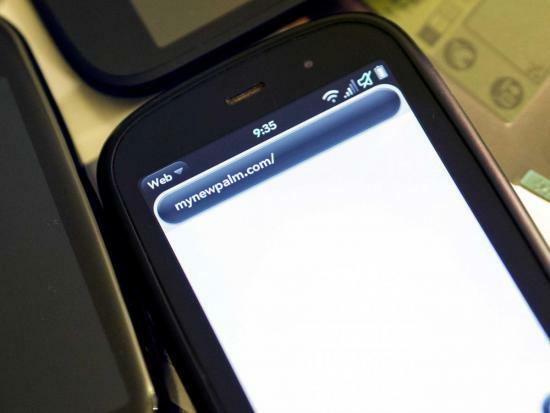 Instead it, along with every other palm.com address, now redirects to "mynewpalm.com". After years of languishing away under HP, something's happening here. Digging in with the handy tools at domain name service Whois reveals that mynewpalm.com was registered by the blandly-named company "Corporate Service Corporation". On their website they advertise as being a "Digital Brand Services" company, specializing in digital brand protection. One may think that'd mean doing things like registering potential mis-typings of web domains (go ahead and type gooogle.com with three 'o's into your browser and see where that takes you). Okay, that's interesting. But dig a little further and look at the most-recent website associated with HP and webOS: gr.am. And, yep, it turns out that the domain name of the short-lived/never-born Gram subsidiary was also registered by CSC. Huh. So what's the plan with mynewpalm.com? Could HP be resurrecting the Palm brand? After all, the sale of webOS to LG was only of the OS assets and employees — HP kept the Palm branding. It's been a full three years since HP pulled the plug on webOS devices, but even then the Palm brand only held equity among its fans, and for a lot that equity was in nostalgia. HP's current handheld strategy has been a disappointing line of oversized Android deviced destined solely for developing markets like India. Perhaps the Palm brand could see a revival, but we hope that if HP's planning on doing such a thing, they give the name the justice it deserves. We are, after all, talking about a brand that ushered in the PDA, smartphone, and seamless multitasking eras. What do you think HP has in store with mynewpalm.com? It's gotta be something, right? Thanks to Remy X, Preemptive, and lc_lol in the webOS Nation Forums!